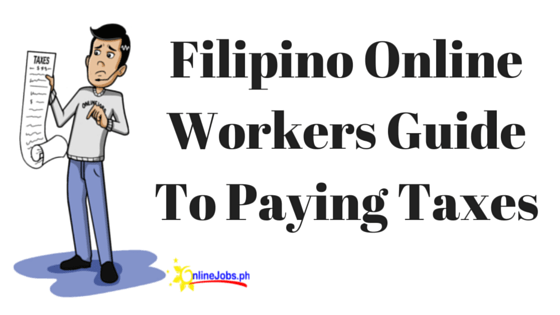 Here at Onlinejobs.ph, we’ve always been happy to get feedback, both positive and negative. We also like sharing amazing stories from virtual assistants, and from the employers who found their perfect VA’s. This one from Ross Lumbus is something we really wanted to share with you right away. We wanted to spread his story, not because he had the perfect experience with Onlinejobs.ph, but because the account of his experience was honest, detailed, and had the imperfections some of you may also encounter. The best part of Ross’ story is how he went pass his hurdles, made changes, and eventually found the best virtual assistant for his needs and his business. If you’re a business owner who’s new to hiring a virtual assistant, you should read his story. He’ll give you some tips so you can avoid some of the mistakes he made, and also some recommendations on how he did it right. Put simply at the start of the year I bit the bullet and registered a business name and registered for Onlinejobs.ph. After advertising what I was after in a VA, I hired a VA called Jon. It didn’t go very well. I let him go. Next, I went back to the drawing board in March and hired another person as a researcher on a one month arrangement and also advertised to have someone complete my website and blog. Then I found someone who seemed perfect for the online business that I was after. But whilst everything was failing, one VA was working diligently and producing quality research to help me. I decided to offer her indefinite extension to her role and not limit it to one month. As a researcher, she was in her element. I explained the issue there and she rather bravely said that she would be happy to be the person taking over both roles. I was very hesitant and it required a working through of what the new expectations would be and whether or not she would be able to maintain that workload. Eventually I accepted this and increased her pay to account for this. She also asked a friend if he could finish off my incomplete websites and he did. (I have since asked him to come back and modify it a little more as an extra and he will do that next week). So far my VA has shown a talent for book spinning, writing, and brilliant cover design. I originally hired her for her researching abilities and in that too she excels. In addition to all of this though, she has a degree in marketing and I have also consulted and strategized with this too. At the end of the day I make all the decisions and am in charge of the direction of the business and such BUT it is important to me to ask her opinion and ideas along the way. A second opinion is never a bad thing and often reaps unforseen results. We have a very good, friendly, accommodating, flexible, and respectful arrangement. I am neither too personal nor unreasonable. I am not interested in being overly demanding and if anything is not what I wanted, I am happy in passing this on. Mistake will occasionally happen. I make them too. This is very new to both of us and the fact we have done what we have speaks to working very much in harmony. Like Ross, you too can find that perfect virtual assistant. Start with registering on Onlinejobs.ph, post your hiring ad, and go through resumes of highly qualified Filipino virtual assistants. Like this story? Then you’ll love the success stories of Dennis, Brad, and Kimberly. Jessica creates content and support for OnlineJobs.ph. She is also involved in different advocacies like climate revolution, local arts, internet freedom, women’s rights and more. She dreams of a world where people are able to tap their inner heroism and work together for a better world. She has a Dalek watching over her computer.